So you've decided to follow that life-long dream and buy a beautiful motorhome to travel the country. Congratulations! Nothing could be more fun than taking a leisurely cross-country trip to see the US in your own comfy RV. It's the most wonderful way of all to share adventures with your spouse or friends. 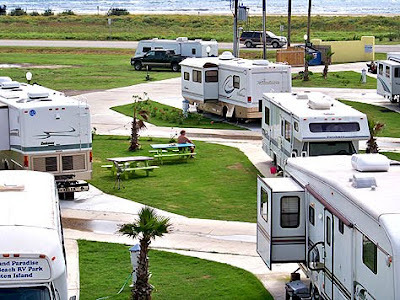 Registering an RV in South Carolina is the same process as registering a vehicle. Unlike a tag-along camper, a motorhome IS a vehicle. Notify your insurance agent (Todd Insurance Agency we hope!) first, and combine your new RV along with your SC homeowners insurance policy if possible. As we have stressed so often, the best way to discount your car insurance is with the "Multi-policy Discount". If your car or home is insured somewhere else, please consider letting us handle these along with any other insurance you have. We can really save you some money! And as the Allstate commercial says, "Breaking up is hard to do". We will do the switch for you! When you've insured your RV with us, we'll give you a proof of insurance certificate that you will take along with your title to the tax office. SC charges a 5% tax on all newly purchased vehicles. (pdf download) and fill it out. With the tax receipt, title form, and proof of insurance, step over to the license department and get your tags. Now, knowing your new toy is protected by the best insurance you can have, climb in the drivers seat and visit Niagra Falls, the Grand Canyon, the entire state of Florida, and all the other places you've always wanted to see! Visit our office or call us for a quote on RV insurance, boat insurance in Myrtle Beach, SC car insurance, renters insurance in south carolina, or Homeowners Insurance in Myrtle Beach SC. PS...send us a postcard! Our local Channel 13 TV news reports a case of identity theft in Conway. Most people think it doesn't happen around here or it can't happen to them, but it can, and does. Everyone who works on the internet often or has any other reason to be at a risk for having your bank accounts or other financial services disturbed should consider getting Identity Theft Insurance. Conway police are asking for the public’s help in identifying an identity theft suspect. They say an unknown woman used another person’s identity to withdraw large sums of money from that person’s bank accounts. Anyone with information on this individual’s identity or location is asked to contact the Conway Police Department. Visit our website and learn about all the ways you can protect your life and family. From car insurance in Myrtle Beach to renters insurance, we offer the best in customer and claims service.